Here’s Raleigh Falls from the opposite side. With water levels so low, it was easy to step across and shoot a less seen angle. Which side do you like better? 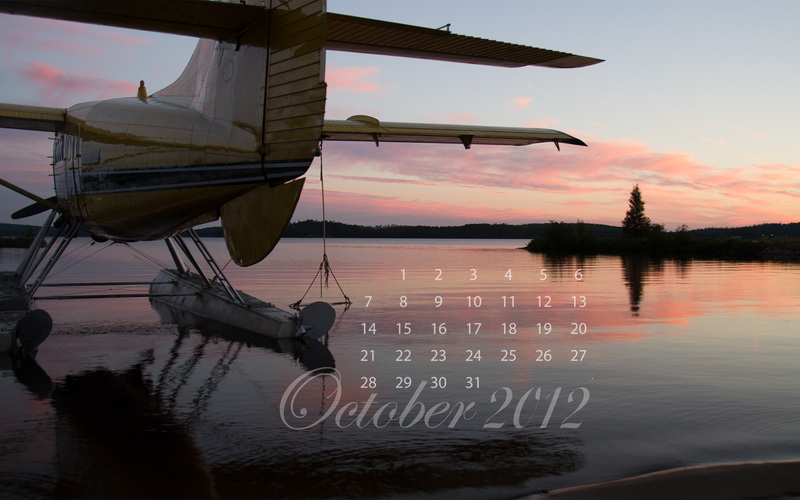 For our de Havilland float plane fans, I have the Otter at the dock at sunset. The proportionately large tail is exaggerated from this angle. 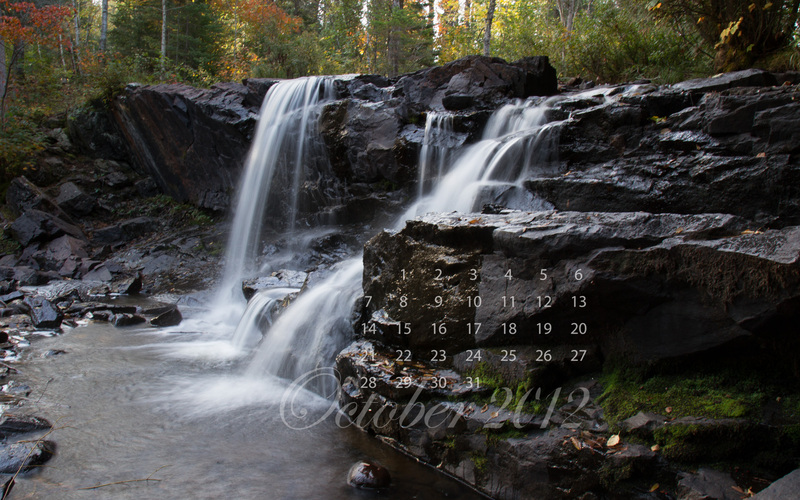 For specifc screen resolutions, drop down the ‘free calendar’ tab at the top of the page and select October 2012. Happy fall y’all!